So wasn't really sure where to put this... So here will do Mods feel free to move. Wife wanted her laundry room space back and I have been wanting to set up a rack for a while now so we "compromised" and I now have to move my fry tank to the rack at the back of the laundry room... Woo! 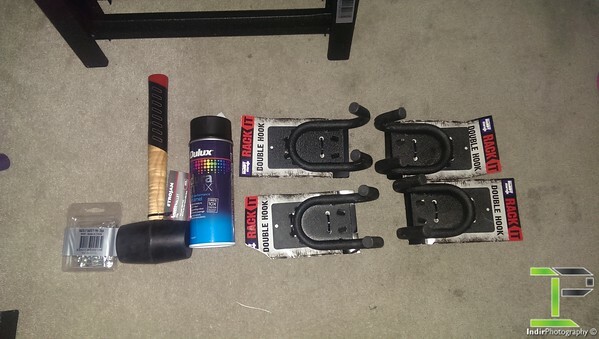 I have been discussing setups with a few others from this forum and other forums too and ended up coming to the final choice of a Rack-It solution from bunnings. They are versatile, easy to set up, priced pretty well and do the job well. For those looking for larger tanks though I hear that the 4ft + set up can bow over time so better of to set up a few 3 foot in sequence instead I only had room for the 3 foot rack so this works perfectly for me. I did a fair bit of researching and bugging a few people and went ahead and bout the parts for the rack, as well as 90x35 timber that I used for cross braces/support, plywood for the shelving and foam for under the tanks. This is enough to get me started and the rack set up in place ready to slowly build up with tanks, etc. 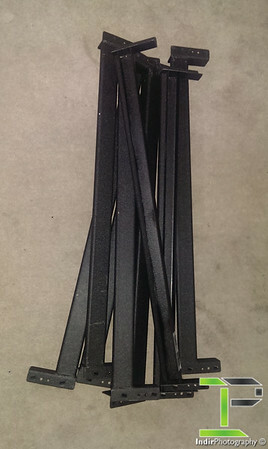 The cross brace/support is not completely necessary but I plan to use a couple of 30cm cubes + smaller plastic tanks/containers for fry and live foods on this rack so wanted to reinforce everything to spread weight evenly to prevent bowing when I use tanks that are not wide enough to sit from beam to beam. It is probably overkill but I got them anyway. 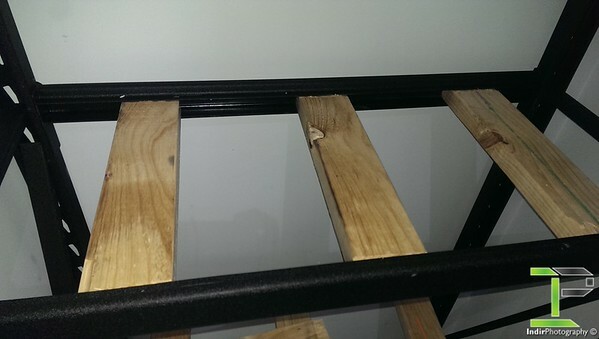 The 90x35 timber was cut at bunnings to 425mm lengths and is supposed to fit in between the bucket/U channel on the cross/shelf beams, however it didn't. The opening is about 33mm which is 2 mm shorter than required. I didn't have a wood plane or any similar tool to use on me and I was too lazy to drive to my brothers place to pick up the tools so I did it the long way. With a hammer and screwdrivers (couldn't find my chisel...) I took off about 3-5mm thickness and about an inch in length from the 90x35 wood. This means it slides into the U channel fairly easily (some needed a bit of loving with a mallet to move into place) and still allows the plywood to sit flush on the lip of the beams. This is what I ended up with after chiselling away 5mm. This was done on one side of the wood but on both ends. Really its the most unclean way to do it and would have been way easier/quicker with a wood planer or something. This is what I ended up with once the cross braces were put in place. Ontop of this will come plywood and tank foam. Once this was all in place, i was ready for the plywood to go on. I purchased Film Faced Plywood from bunnings which comes in 2400x1200x17mm boards. I go this cut at bunning into 900x400mm pieces which is the exact size of the shelf (same as the precut mdf shelves Rack-It system sells). 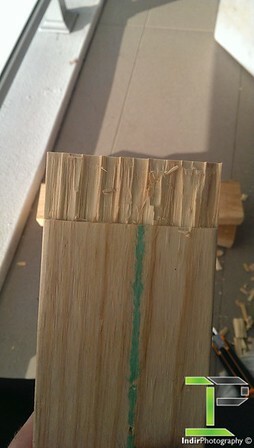 I found this board after speaking with a friend, it is basically a type of vinyl/paint on the exterior of the plywood (including edges) that makes water bead on it so the plywood won't absorb the water (or at least will be resistant to water). It also means I didn't have to paint the plywood which would have been a bit annoying as I am in an apartment. However because of the cuts I still had to paint/seal the edges of the plywood which was easy enough and quick to do with a can of flat black enamel spray paint from bunnings. I put 3 coats of this on the edges and was ready to go an hour later. Tank foam was placed onto the rack and is now ready for tanks to go on! Foam is 36"x18" and 10mm thick. Gives an overhang of about 2cm on the back of the rack but I plan to use 18 inch deep tanks so this will work well for me as there will be 1-2cm of overhang at the back of the rack anyway. 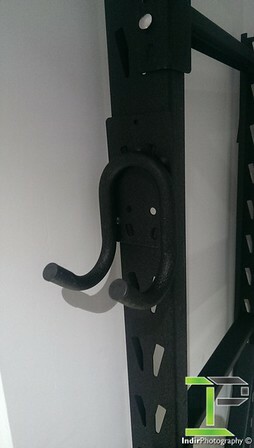 I picked up 4 x double hooks for the rack (Rack-It parts also.) which I put on the face of the rack as in the limited space I have I couldnt put them on the sides will still being easily accessible. These will be used to hold nets, hoses for water changes, spare airlines, etc without taking up space nor being in the way They are pretty cool. So at the moment rack is ready for tanks however I still want to sort out lighting for each shelf and set up the power boards to sit on the far end of the system which is out of the way and off the floor and will use power boards with switches so I can quickly turn things on/off. The plan is to run LED strip lighting or LED down lights (most likely the strip lighting) on the underside of each shelf to light the tank below it. These tanks will all be breeding tanks so high light is not required, but enough light for low light plants is what I am aiming for. 2 LED strips run the full length of the shelf should be enough to do this hopefully... But time will tell. Otherwise I will run slimline LED downlights mounted to the underside of the shelves (the support brace timber) and have 2 or 3 per shelf. The plan is to have minimal power consumption from the lighting as I plan to run each tank with separate filtration rather than a sump so I can adjust water paramaters individually for the fish I plan to keep/breed. For filtration I plan to run sponge filters in each tank, but have been contemplating corner HMF filters in each tank run of air lines. This would however make it harder to hot swap sponges between tanks obviously but I do like the HMF setup idea. Tank wise I can fit 900x450x300mm tanks on each shelf, but since I dont need such large tanks for the fish i want I will split these into 3 compartments each so they willl be 300x450x300 which is about 40L per tank. I may end up with 30cm cubes (which I already have) on one shelf with a few smaller containers for fry/egg hatching/livefood on the same shelf. I plan to run on the bottom 3 shelves to start with leaving the top shelf for storage of random bits and pieces and also plan to have a water change tank/bucket up on top to make water changes easier/quicker. Siphon straight down the drain and fill straight from the top water change tank. I may also run an undivided 900x450x300 tank on the bottom shelf as a fry grow out, or I may split this in two only for different aged fry. I have not decided yet. This post is long enough as it is, and I hope some of you followed along at least! haha. I am having fun so I hope you guys tag along and get some info out of this thread I will try to update it as much as I can and make it into a breeding log, etc. Last edited by indir; 19-11-15 at 08:14 PM. Nice neat rack setup, looks great. Looking forward to seeing it progress. Setup looks great, Indir! Should work really well. Just a couple thoughts re your filtration. You might find that HMFs will be too bulky for you with such small tanks, so sponge filters might work better in this case. Not impossible, but the thickness of the foam (~5cm) is one of the reasons they work well. Having said that, if you do go with HMFs, consider whether you might have enough room to just run the foam flat across the shortest wall of the tank. If will be difficult to bend thick foam in such a small space, but cutting the foam a couple of mm wire that the tank, and installing it flat would both make installation easier and temporary, ands would make those 'hot swaps' between tanks a little easier for you. This is how I have the HMFs set up in my 2ft tanks (2x1x1 running with small side forward and HMF installed on the back wall) and it works a treat. Also re the strip lights, I've found that 2x strips is just barely enough to grow anubias in my tanks, but this light spreads out across the 2' of the tank. You might t find you want more or better lighting if your tanks will be deeper than 30cm. "I completely lost it. Well, okay, that sounded more awesome than what I really did, which was yell. And by yelling I mean sending a bunch of TEXT MESSAGES ALL IN CAPS!" 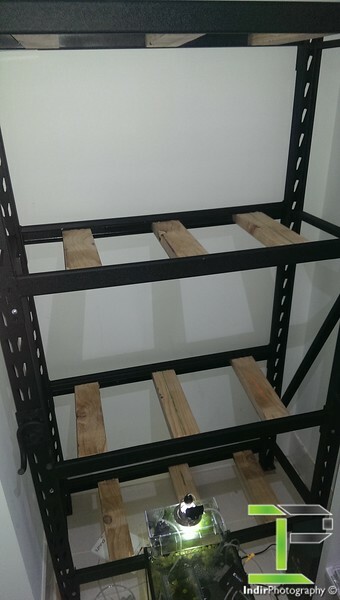 @jimstreet - Thanks mate The rack-it system is pretty good I must say. @rufus - Thank you I am hoping it plays out as well in reality as it does in my head haha. Thanks for the info on the HMF filters. I was mainly thinking HMF to reduce the need for constant sponge cleaning and larger filtration system in the breeding tanks which would mostly house pairs of fish. I may do as you say and run the full length of the shortest wall in each tank instead of bending it in the corners. I was planning on 5cm foam so your thinking helps I might have to get a small piece of foam for 1 tank and see what it looks like once I have the tanks in place. Then I should be able to easily decide if im better of going with larger sponge filters instead of the HMF. As for the lights, i was thinking the strips to keep costs low overall. The main thing I am worried about is that the rack is open so light may be lost quite a bit before it even reaches the tank. 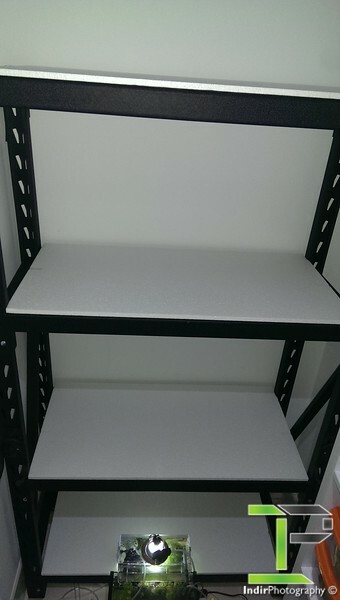 I have about 45cm between foam and shelf above it. So 30cm tanks will be the max I go otherwise I can't do anything in the tank without breaking my long arms. So with the tank height this leave about 15cm between tank and strip lighting. I plan to only keep low light stuff like moss and ferns/anubias. Maybe a couple of crypts or something in the breeding tanks in pots. Have you got a photo of the light on your tanks so i can gauge the light amount a little better? Would it be worth running 3 strips per shelf? Though this would obviously increase running costs overall I guess so unsure if it would just be better to go for something else from the get go instead. Great stuff dude. Always enjoy your posts! Wonder whether DIY on clip on CFL (like my nano ATM) would be cheaper for this setup. They certainly have enough grunt. Otherwise you can easily DIY some 3W LEDs and run them at 1W (no cooling required). I'll ask the question everyone wants to know - how much does it all cost (stand + materials only)? Do you recall what type of LEDs are they? I have just built 2 rows with 5050 LEDs and was intending to grow some low light plants in terracotta pots (e.g. swords, aponogeton, anubias, java fern, etc.). Indir, I have tagged you on another forum re: my LED strip build. Maybe you could be the guinea pig and do the 3W LEDs as suggested above? Last edited by jc12; 31-08-15 at 12:48 PM. @Rebel - Thanks mate Glad you tagged along, I know you are planning on a rack aren't you? :P I will take a look at the clip on you set up, only reason i am avoiding CFL/T5/etc is long term running costs. It would be easy/cheap to set up but long term it would cost more. I like the sounds of that DIY 3W LED set up that you and Dac mention, I may need to look at this and see how much it would cost to set this up for the 3 shelves. 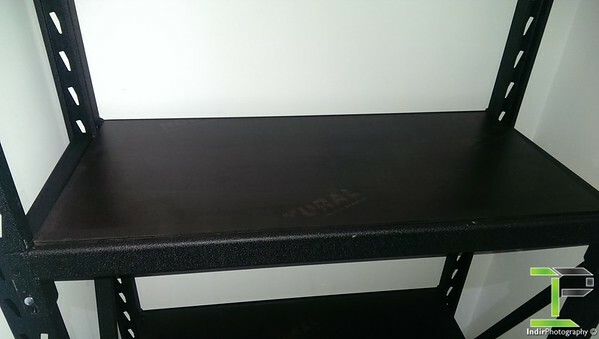 @eciuj - Thanks mate It is nice and tidy (except off camera haha). Its the main reason I chose this rack setup. Total cost was about $200. But really it could have been a bit cheaper by not using the timber braces (they are not quite needed but i wanted to play it safe). And the top shelf didn't have to be set up for the ability to hold tanks as I plan to use it as a storage shelf, but I wanted to future proof myself because I am bound to put a tank on that shelf too haha. I also have spare plywood and timber for another shelf (which I can't fit on this rack haha) because I had to buy a full board of plywood. I will look into how cheap the Up Aqua lights are to pick up second hand and how much they are to run long term. As mentioned above, I do like the DIY idea mentioned by you and Rebel also. 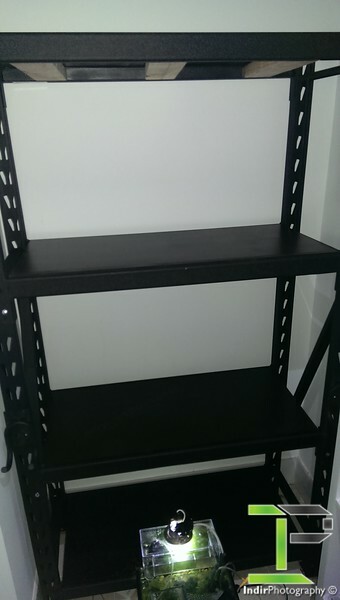 I may look into how much I need and the costs to set up lighting for 3 shelves with DIY LEDs. ecuij, has already done it! Check out his nano thread. ndir, I have tagged you on another forum re: my LED strip build. Maybe you could be the guinea pig and do the 3W LEDs as suggested above? Saw your post over there before I saw your post here It all depends on set up cost. Eciuj says they are about $3 per led. I would need a fair few per 3 foot shelf I would think, so would be much more than just setting up 3 strips of 5050 instead of 2... Since the tanks will not be really planted with much more than moss and a few ferns or something. I could add extra light from a CFL or something to tanks that needed more than 2 strips of the 5050. It will be much cheaper to install and run this way. 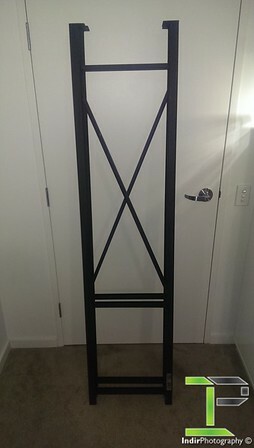 What was your total cost (if you dont me asking) for the 5050 to be set up for your rack? For very low light plants, these may be ok.
Last edited by Rebel; 31-08-15 at 02:19 PM. The first link is to 5630 which is also strip lighting, just that they are putting it in a tube :P So same risk as being too low light with 2 strips even. The second seems to be very low lumens (80-200) according to their listing. 3 per shelf would be 1 per tank section. I currently have one LED downlight hooked up to the AC power which I use from time to time and used it on the 30cm fry tank for a while (you can see if ontop of the external breeder in the photos I posted). It is enough to light the 30cm cube tank enough for me to grow low light stuff. The above is about $3.30 per downlight and each has 4 x 3w CREE chips in it. Obviously this would be more expensive to run then the strip lighting would be, but would almost guarantee low light plant growth. Those are most certainly not Cree but would suit the purpose. Clever to find the 12V variants. Nice n safe. I already have a 12V 7.5A power adapter lying around so it didn't cost me anything for it. You have already seen my post on the other forum and some of the components were additional or I bought more than I needed (e.g. I ran an inline switch for every 2ft 'bay' on my rack which most people would probably do without, and I only used 6 inline switches but bought 10, I probably don't need 5m of 2 core wire, etc.). All times are GMT +8. The time now is 03:33 PM.